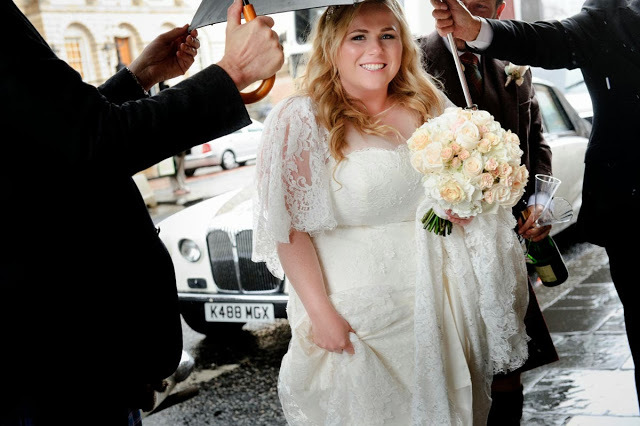 Ohh,,, this is one we will not forget in a hurry… when Lois came in to see us the first time, she had the most amazing wedding suppliers lined up, and when we met her, we just loved her and knew we had to make her dress. The dress Lois went for was a lace dress, with sheer silk mesh on the neckline. The lace was a lovely Chantilly lace in ivory with a deep scallop. The lace was backed with a duchess satin and had the silk netting on her neckline where the full lace bishop sleeves was attached….